Cloudflare sits in front of almost 10% of all Internet requests for more than 2.5 billion people worldwide. They power 6 million internet properties and 1.5 trillion pageviews per month—and they’re doing all that with a team of less than 500 people. 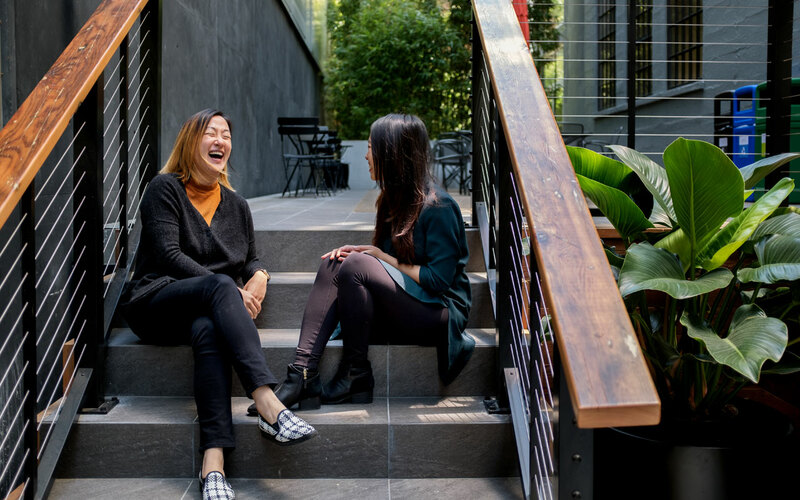 We talked to Philina Fan and Nena Nguyen, Product Designers at Cloudflare, to find out more about how their design team operates. 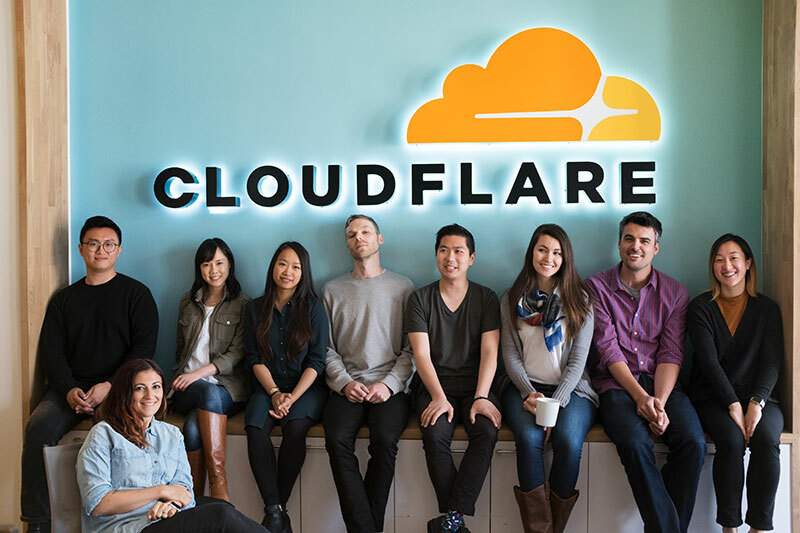 What is the design culture like at Cloudflare? Philina: Each designer has a lot on their plate, but the culture is very collaborative. 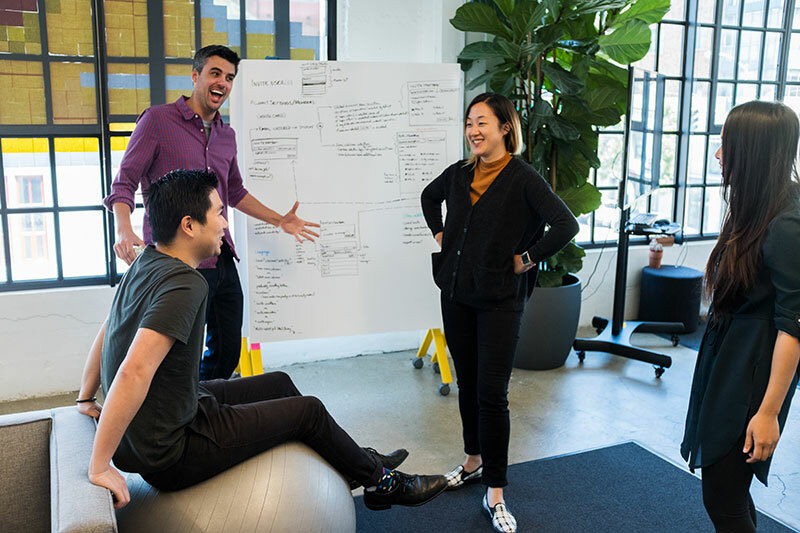 I think to create a great work/team culture, you have to be willing to trust that, as a team, everybody is collectively working towards a bigger goal to make the company’s product better. Every person on the team should be someone you can lean on as a valuable sounding board. All images courtesy of Cloudflare. Nena: We’re a tight-knit team of 10 designers, with 4 focused on marketing initiatives and 6 focused on product design. We all meet together at the beginning of every week to share projects we’re working on, workflow improvements we should make, and best practices for working with other teams. Each designer presents their work and collectively we discuss and provide feedback. These meetings are essential for learning, establishing accountability, and maintaining design consistency across the entire organization. Nena: The designers all sit together and next to the engineers and product managers we work with. Although a lot of structured communication happens in meetings, emails, and documents, we also discuss and request feedback from each other as we’re working away at our desks. Philina: Besides having a pretty open “walk-up-to-someone” culture, we also use chat to communicate within our team, as well as with different teams in our organization. What’s something you know now, but you wish you’d known when you first started out as a designer? Philina: Being a relatively new product designer with a more traditional design background, I wish I’d known early on how all-encompassing the role can be. Besides having to solve product-related design issues, an effective designer has to understand business goals, and implementation. Product design is a holistic process. Nena: Remember that you’re not alone—a lot of other designers have run into the same things that you’re experiencing. 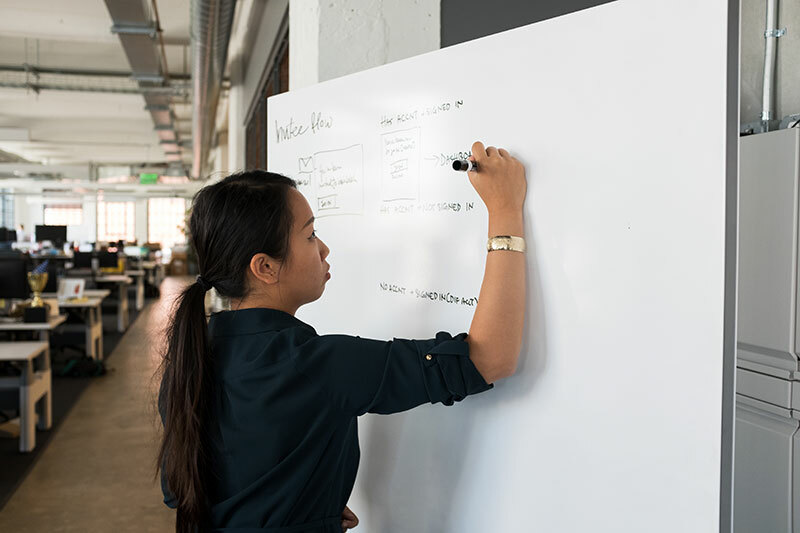 Whether you’re trying to come up with a design solution to a common problem, planning a usability test, or figuring out how to work with cross-functional teams, chances are that someone else has already gone through the same experience. So when you’re stuck, don’t be afraid to ask fellow designers for advice or read books and articles to help you figure out how to approach your problem. As women in the tech industry, would you like to talk about any struggles you’ve had in your career, or continue to have? Philina: I struggle every day with imposter syndrome, which is probably a cliched topic at this point. I still want to share this, because it is absolutely fine to have imposter syndrome. I remind myself that every day is an opportunity to grow and learn, and improve myself from the day before, even if it is just incremental. My advice for other women who want to break in is to just go forward and take opportunities that are offered to you , even if they’re out of your comfort zone. Nena: Although the majority of people in the tech industry are friendly and professional, it’s not uncommon to meet people who aren’t. There have been times where individuals have made inappropriate or sexist comments that make myself and/or others feel uncomfortable. In the past I would ignore these comments or just nervously laugh them off, but I’ve found that bad behavior will only persist or escalate if it’s not addressed. My best advice to address bad behavior is to let that individual know that what they’re saying or doing is harmful and unacceptable. If they don’t adjust their behavior, then you should avoid interacting with them and instead interact with people who are respectful and professional. Although I haven’t experienced this at any company I’ve worked at, if you do see bad behavior in your workplace you should feel compelled to escalate it with your HR department and/or your manager. Even if you’re not personally affected, reporting it sooner can allow management to address it and prevent further problems from arising. How can designers work better with developers? Philina: Ask a lot of questions, especially if you don’t understand the technicalities of implementation. The more you understand how something is built, the easier it is to design the next time around. Nena: At the beginning of your projects, have a chat with the developers you’ll be working with to understand how you can best work together. Tell them about your workflow and learn about theirs. Throughout the project—and especially after the project has concluded—take the opportunity to discuss as a group and reflect on how you worked together. Learn from these experiences and share your findings with others. What catches your eye when you’re looking at someone’s portfolio? What makes you immediately move onto the next applicant? What were the goals of the design? What problem was being solved? What did the designer optimize for/why did they make the design decisions they made? What were the alternative solutions? What were the outcomes of the design? It’s a big red flag if a designer has only come up with 1 solution and failed to consider and evaluate other possibilities. Beyond excellent design skills, we’re also looking for things like the ability to learn, communicate, and work well with others. Nena: For early/conceptual discussions we typically start by whiteboarding, sketching, and writing down very rough ideas to discuss. We then use InVision to put together mockups and prototypes for all of our projects within our own team and also cross-functionally. 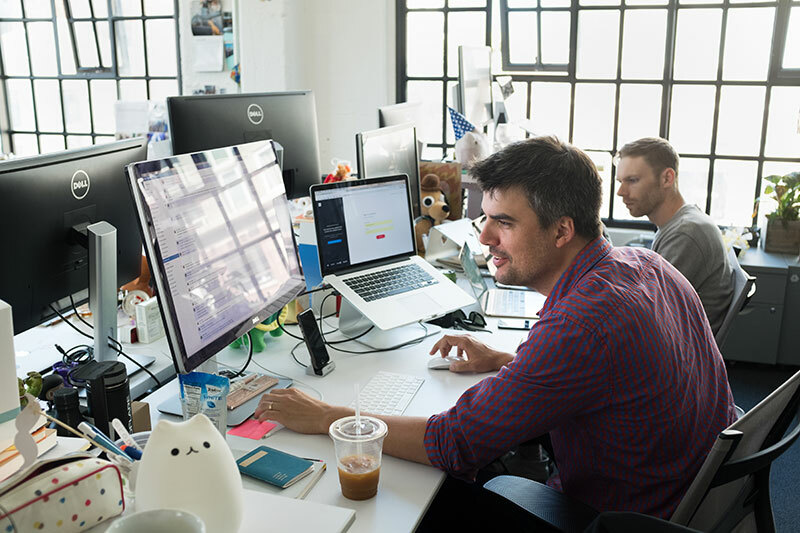 Sections within projects allow us to create separate categories to organize big projects so that non-designers such as product managers or engineers can navigate and find the screens that are relevant to them. For fast iterations we like to take advantage of InVision’s comments and file syncing features. Philina: I’m a huge fan of Craft! I love the 1-click syncing from Sketch, every time I iterate my mocks. An obvious tip for InVision is to name your artboards in an intuitive and clear manner, so that when it links up to InVision, you can build the prototype quickly and easily. We recently introduced Inspect to our UI engineers, and they’ve found the feature to be extremely helpful for initiating implementation. Nena: Consider that you might be wrong—and admit it when you are . No design is perfect the first time, so don’t force it to be. Ship, learn, and iterate. To master your craft, stay humble and keep learning from those around you. Front-load the thinking. Don’t start making your designs pixel perfect until you’re sure you’ve designed the right thing. Build the right thing, then build the thing right. Philina: Push yourself to show your work to other designers. Getting solid feedback is a great way to grow your skill set. Join the tech/design community; go to events and meet different people in the industry. There are so many smart and interesting people in our industry that have so much knowledge to impart. People are also very willing to help less-seasoned people. All you have to do is ask nicely!